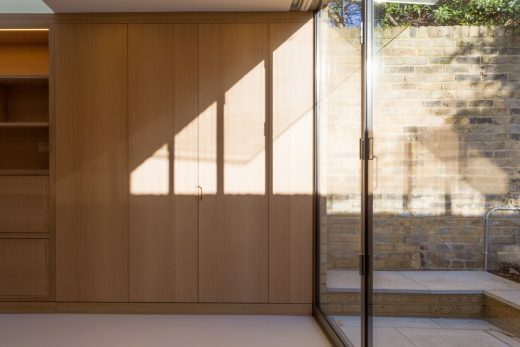 This dark and compartmentalised Victorian terraced house has been reconfigured to transform it into a light and airy home. 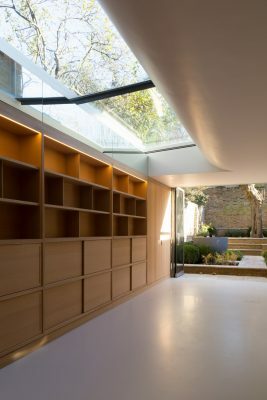 All internal, and rear external walls were removed at lower ground floor level to create open plan spaces that spill out into the garden. 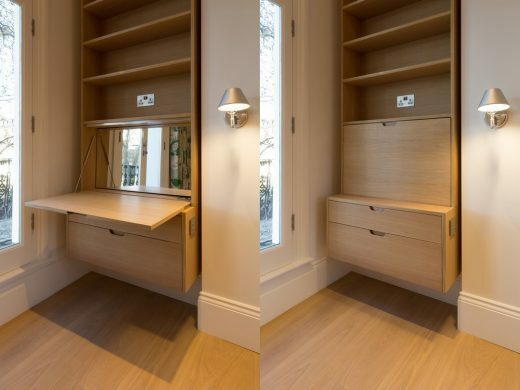 Oak-veneered joinery lines the walls to conceal structural supports and building services, whilst maximising functionality and storage. 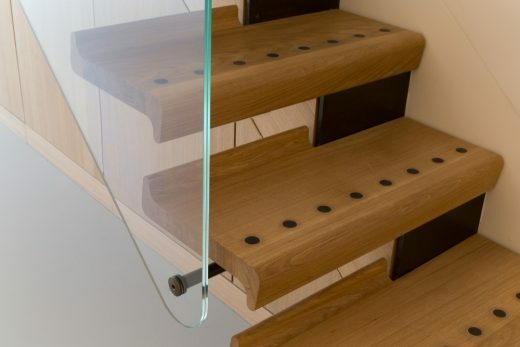 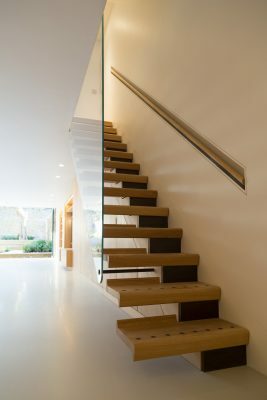 The cantilevered solid oak treads of the new staircase appear to balance on the joinery below. 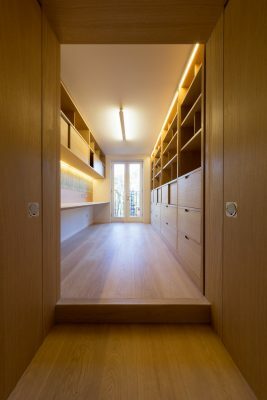 Flip-down dressing tables and desks, and wardrobe pocket doors concealing the client’s AV equipment, were designed for upstairs. 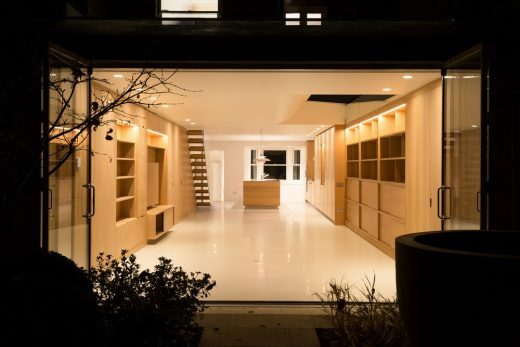 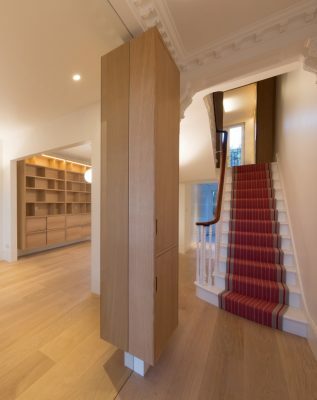 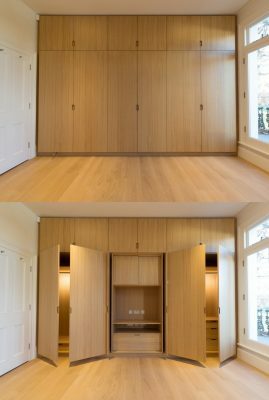 At raised ground floor level, veneered oak joinery ‘floats’ off the floor on either side of a large glass fire screen providing hallway storage and bookshelves. 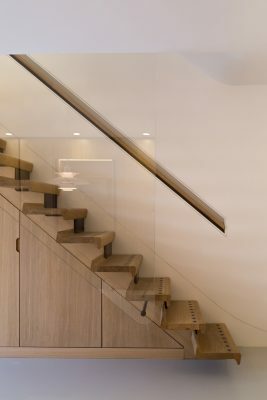 Further up, oak veneered study doors open to become wall linings allowing light to flood through to the staircase.